Things have been a little on overdrive around here. A baby that can crawl and stand, lots of recipe testing, and the holidays peeping around the corner. But I’m trying, gosh darn it. I don’t want to use a baby as an excuse to let everything fall by the wayside in a flaming, forgotten ball of fail. It’s just that when you have a baby, and things don’t go well, events tend to snowball much more dramatically. For instance, I’ve been trying to keep up with the baking. Forget that “You have a little baby! Who has time to bake!” business. I’m going to sit baby in her highchair, and she’s going to watch mommy bake, and be inspired to become the world’s littlest pastry chef. Except the recipe I was testing didn’t turn out. And then it was time for her nap so I had to go put her down. And then I remembered the laundry I left in the washer that needed to be moved to the dryer so I could do the next load. And then my mom called. And then the baby woke up. And then it was dinnertime. So I didn’t get a chance to retest the recipe. It’s been this weird bad streak lately – despite my determination to get in the kitchen, I seem to have temporarily lost my recipe mojo. Nothing to do about it except keep plugging away when I can, right? Every baker has her unsuccessful days. As soon as I have a blog-worthy recipe, it’ll go up! Thankfully a whole pile of chocolate bars arrived to soothe my frustrations after some long, fruitless days. I’ve visited TCHO, and I’ve baked with their excellent chocolate before, so new chocolate flavors to try out is a definitely cause for happiness. TCHO is well known for their flavor wheel, and how they label their chocolates by flavor notes – “fruity”, “nutty”, etc. Very fitting for their tech-driven roots. So I was surprised to see them go in an entirely new direction and introduce their first chocolate bars with inclusions, called TCHOpairings. They’re almost the complete opposite of their purist, minimally-packaged original chocolates. The TCHOpairings bars are stuffed with fruits and nuts, and presented in some hyper-colorful, psychedelic packaging designed by Wired’s former creative director John Plunkett. 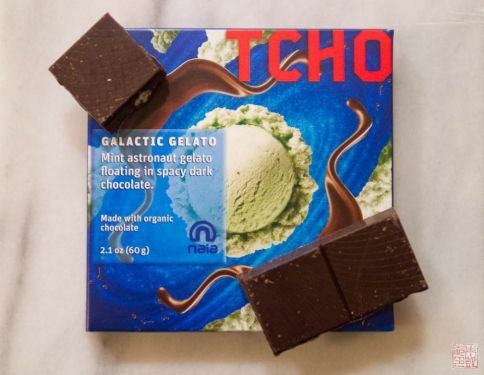 There are three flavors: Galactic Gelato (dark chocolate with mint “astronaut ice cream” from Gelateraia Naia), Strawberry Rhubarb Pie (milk chocolate with strawberries, rhubarb, and bits of pie crust), and TCHunky TCHOtella (milk chocolate with roasted hazelnuts, hazelnut butter, and sea salt). It’s clear that a lot of thought and development went into these bars. I was immediately drawn to the Galactic Gelato, because it seemed the most out there. The bar is 62% dark, pleasantly mild with virtually no bitterness, which makes it a nice base for the little bits of freeze dried mint gelato. The bits are intensely minty and have a nice little crunch – I find that this bar is really about the mint since it’s so dominant, so if you’re a mint chip ice cream fan, this is for you. After convincing myself not to eat the entire Galactic Gelato bar in one go, I turned my attention to the other two bars and was quite impressed with them as well. They are both milk chocolate, which gives them a softer mouthfeel; combined with the fruits and nuts these are distinctly sweet chocolate bars – definitely more like candy bars, albeit very sophisticated ones. I think the bits of pie crust (made by Oakland’s Starter Bakery) in the Strawberry Rhubarb Pie is genius, plus their cookie-crisp texture gives much needed contrast to the smooth creaminess of the milk chocolate. I’m not sure I thought of pie when I ate it, but I did think all the flavors went together quite well. 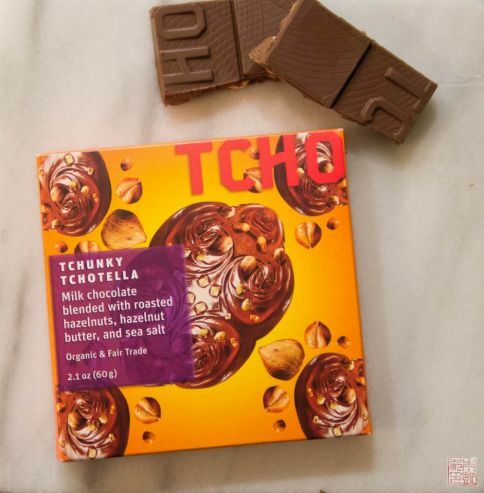 TCHunky TCHOtella is essentially gianduja – hazelnut paste mixed with chocolate. As a hazelnut fiend, I could eat gianduja by the jarful. TCHO ups the ante by adding in Piedmont hazelnut pieces and a sprinkle of sea salt to make it even more addictive. 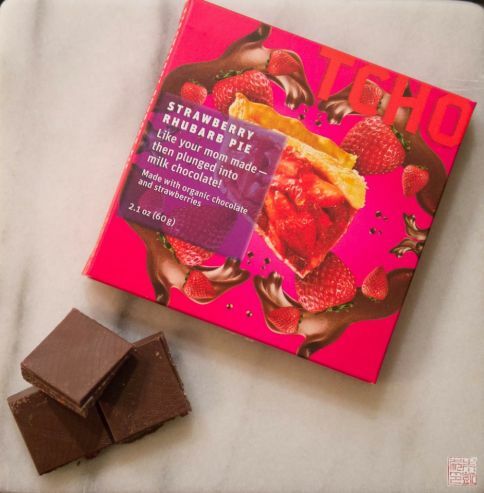 I’m impressed with TCHO’s new bars – they have a lot of character, are impeccable in quality, and they add a new playful dimension to TCHO’s original, more straightforward chocolate lineup. TCHOPairings bars are available at TCHO’s retail store on the Embarcadero in San Francisco and on their website. Thanks TCHO, you were just what I needed after some long weeks to get inspired again! I was sent a set of TCHO’s TCHOpairings bars for review. All opinions are my own. I had no idea TCHO came out with new bars! I just sent my coworkers there as part of a culinary scavenger hunt, how coincidental. I feel like the bars you reviewed are more for eating than for incorporating into desserts – what are your thoughts? Thanks for the links! I am certainly looking forward to introducing the little one to baking! 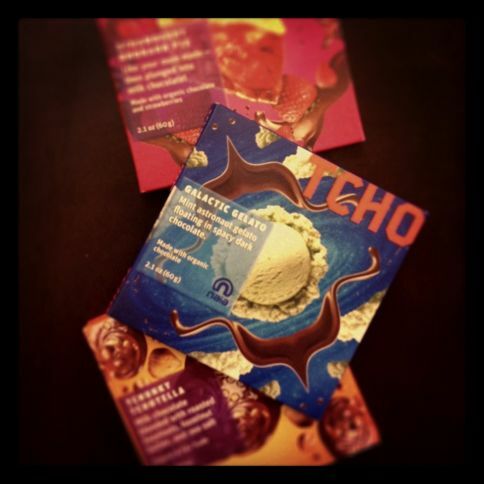 And yes, the TCHO bars are definitely worth a try! They’ll be around, so you’ve got time!